Are you in %country%? Do you want to visit our website in another language? ¿Está en España? ¿Desea ver nuestra página web en otro idioma? Вы находитесь в %country%? Открыть наш сайт на другом языке? Êtes-vous en France ? Aimeriez-vous visiter notre site Web dans une autre langue ? Befinden Sie sich in %country%? Möchten Sie unsere Website in einer anderen Sprache anzeigen? Você esta no %country%? Deseja visitar nosso site em outro idioma? 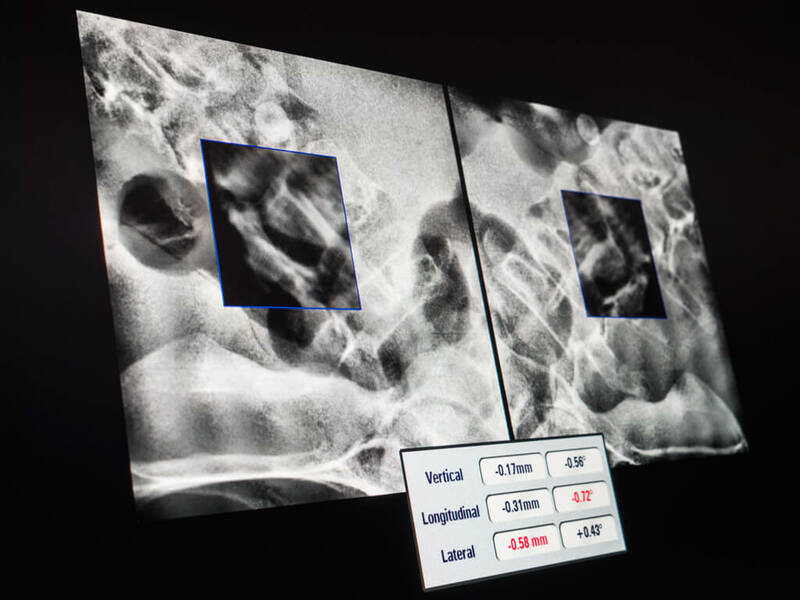 ExacTrac X-Ray, a fast and precise imaging system with robust 6D fusion, is well-suited to the complexities of spinal radiosurgery, ensuring that vertebrae are well visualized and accurately aligned, even during beam-on. The Volume of Interest (VOI) tool improves clinical accuracy and confidence in image fusion by focusing on the most relevant anatomy. 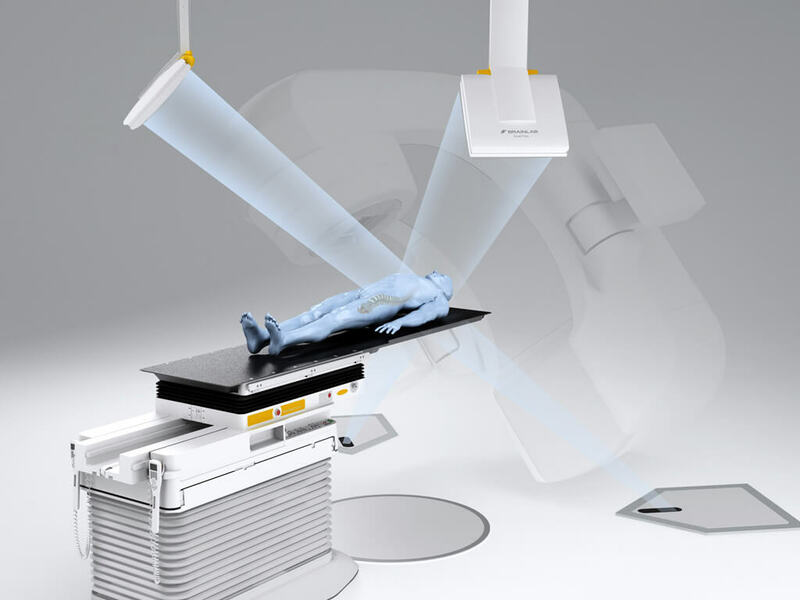 The user can exclude areas such as ribs, adjacent vertebrae or other non-rigidly correlated objects from the 6D fusion, ensuring precise patient setup. 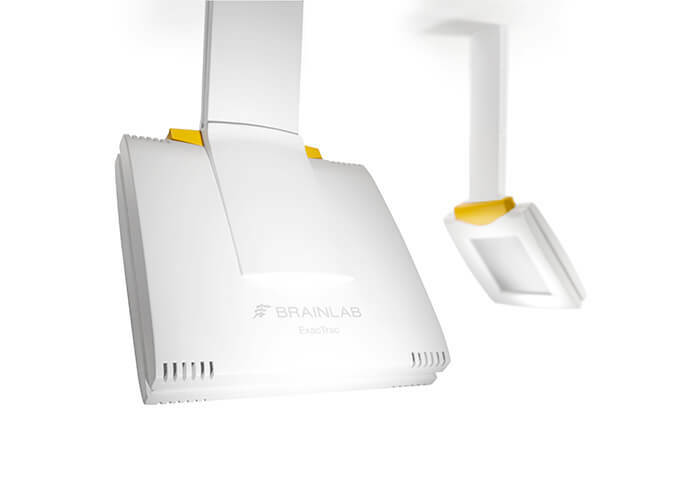 The defined VOI is automatically used for subsequent imaging during setup and to monitor intrafractional motion. Spinal radiosurgery patients often suffer from severe pain which can make immobilization challenging. Deviations or unintended shifts from the prescribed treatment position are automatically detected during treatment delivery and immediately displayed to the user.